Well, tell me, Randy. 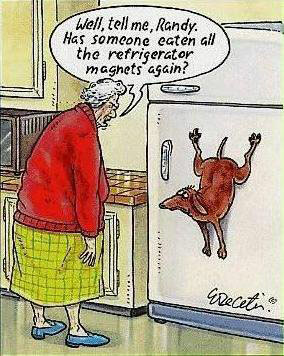 Has someone eaten all the refrigerator magnets again? Created about 7 yrs, 6 mths ago (September 30, 2011). Updated about 7 yrs, 4 mths ago (November 30, 2011).